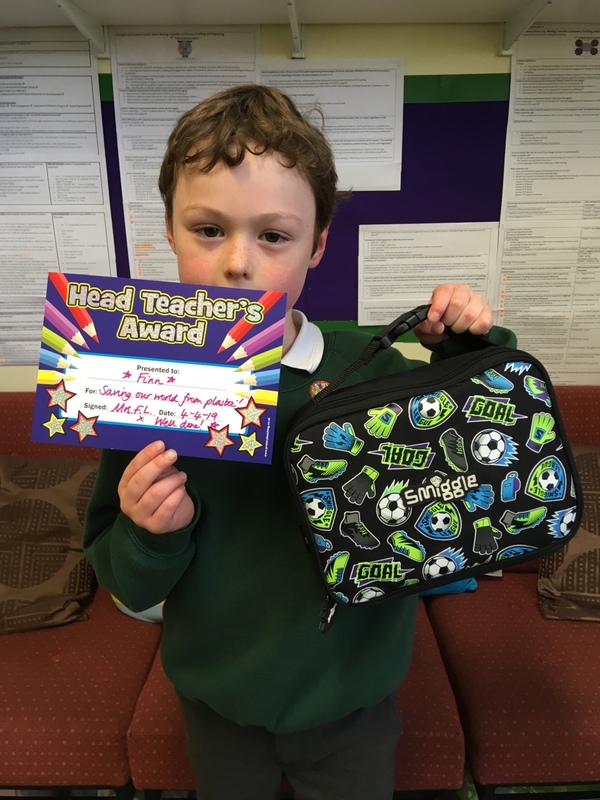 A huge well done to Finn in P2 who has been listening carefully to the Eco Group’s message this week about cutting down on plastic use. We can tell he has been thinking carefully about this because his packed lunch was full of reusable tubs and not a bit of single use plastic in sight. Great work!